Cancer can affect many different parts of the body, but when it affects the mouth and/or larynx it can impede an individual's ability to speak. Even when caught early, mouth and/or larynx cancer may require treatments that also affect vocal abilities and leave individuals with speech difficulties or disorders. While speech therapists can help individuals to work around these new obstacles, it may be that these cancers affect an individual's speech permanently and require him or her to ultimately change their verbal styles or patterns in order to communicate most effectively. "Mouth cancer" is an umbrella term that typically includes the cancers of the soft tissues of the mouth and neck. This includes cancers of the tongue, lips, throat and salivary glands as well as cancers of the pharynx, larynx, sinus and other areas of the head and neck. Mouth cancer has a high mortality rate, with over 50% of deaths occurring despite the fact that the individual involved had some form of treatment. Many of the symptoms of mouth cancer, including oral sores, lumps or growths on the soft tissues, trouble with swallowing, numbness, swelling and hoarseness, can effect an individual's speech. In fact, changes to an individual's speech due to any of these symptoms should be taken as a warning sign and the individual should see a doctor immediately. Though cancer of the larynx is classified as a mouth cancer, or a cancer of the head and neck, it is often singled out in discussions of cancer and speech because the larynx in the voicebox. This is a rare type of cancer that overwhelmingly affects men. Symptoms of laryngeal cancer are often those that affect speech, including prolonged hoarseness or huskiness of the voice, difficulty swallowing, a feeling of a large lump in the throat, shortness of breath and bad breath that can make individuals shy about opening their mouth in front of others. 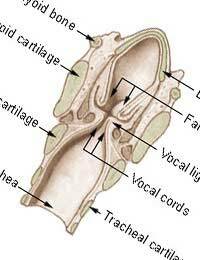 Laryngectomy, or the removal of the voicebox, is a common way to treat cancer of the larynx. Removal of the soft tissues of the mouth or throat, including the voicebox, is one way to treat cancer in these areas. This will obviously affect an individual's ability to speak. Swelling from surgery and the removal of teeth in order to better treat the cancer can also interfere with an individual's speech. A speech and language therapist will be able to help individuals find new ways to speak, and even the removal of the voicebox leaves individuals with options. Transoesophageal puncture, "swallowing air" in order to speak and the use of an electronic larynx are all options for those who have lost their voice due to cancer and/or it's treatments. Cancers of the head and neck are serious, and often both the symptoms and treatments impeded an individual's verbal speech. However, there are many treatments for individuals with cancers of the head and neck and even those who require the removal of their voicebox have options on how to continue with verbal communication. Working with speech and language therapists will help individuals to regain their vocal abilities or find new means of communication.